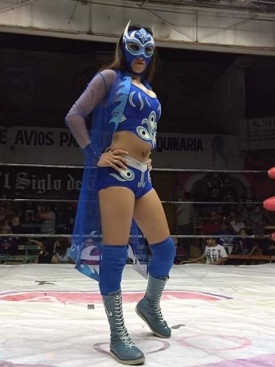 Nicknames La Hija de Aníbal Jr.
She is the third generation wrestler of La Leyenda de Seda. She was trained by her father and currently by Rocky Santana. She made her professional debut after a year and a half of training. She is a well-rounded luchadora she can wrestle as a technical, aerial or strongstyler.